​…but how can you help them at home? Collectively, medication errors are a leading factor associated with hospital readmissions. … there were an estimated 99,628 emergency hospitalizations for adverse drug events in U.S. adults 65 years of age or older each year from 2007 through 2009. Nearly two thirds of (those) hospitalizations were due to unintentional overdoses. ​...numerous studies have identified that adverse medication events are at the very core of the readmission problem. EZ Read™ is the magnifier made to improve medication safety at home. 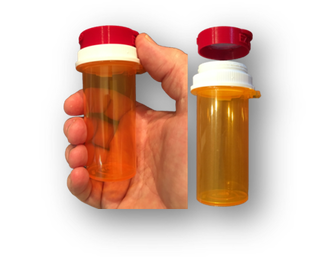 It's specially designed to store on top of the most commonly used prescription bottles. Best of all, because it easily stores over the cap of their prescription bottle, it’s right where they need it when they need it! 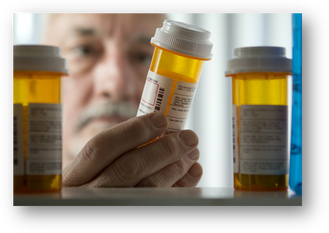 Medications with hard to read labels, caused by print that is too small, are resulting in errors and medication errors at home are a leading cause of hospital readmission. 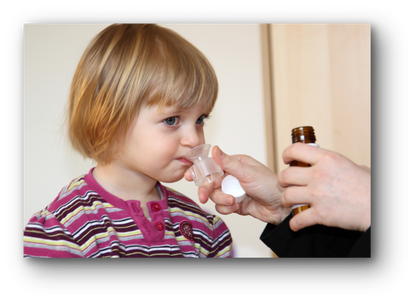 Medications for children and babies are especially dangerous due to smaller dose amounts and the need for careful measuring. ​EZ Read™ was created by experts in medication safety who know the small print on medication labels is causing medication errors. Patients can use EZ Read™ to help them read their prescription labels and inserts safely and accurately because it has the right amount of magnification to make small print easy to read. Who should have EZ Read™ ? Adults giving medicine to children. 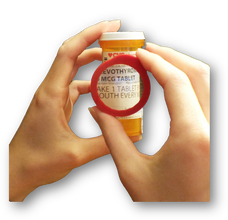 ​Simply pop EZ Read™ off of the cap of the prescription bottle it is stored on and hold the magnifying lens over the hard to read print. Adjust the lens away from the print until the print is large and easy to read. 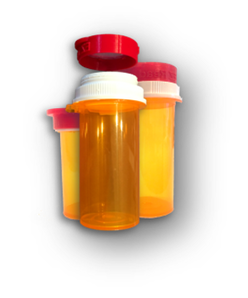 When finished, EZ Read™ can be returned to the top of the medication cap for storage to keep it where it is needed. What can happen when you give EZ Read™ to your patients? 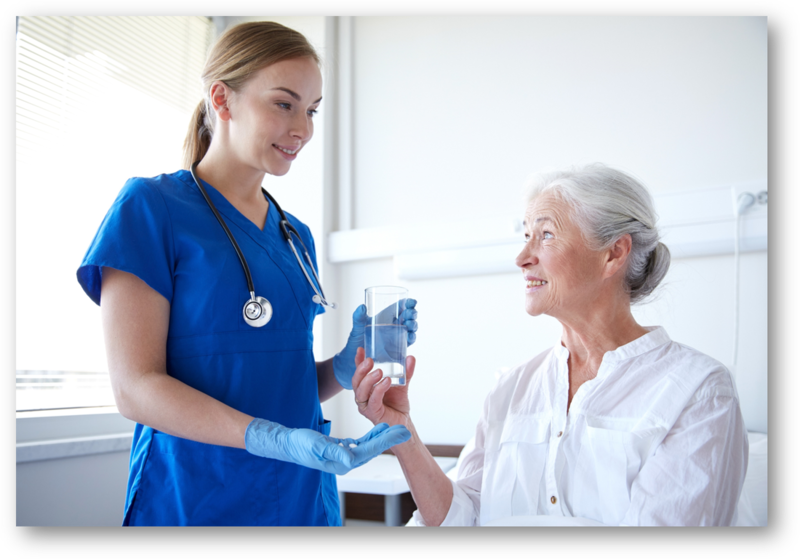 Your patients and their families will recognize that you care about them even after they are discharged. 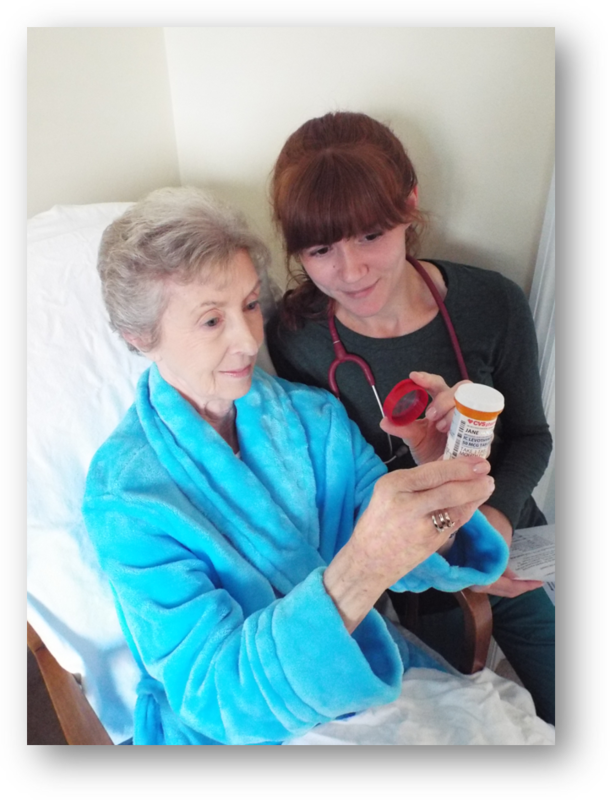 They will be grateful you helped better prepare them for their discharge by giving them a medication safety tool they can use at home (which can improve patient satisfaction scores). 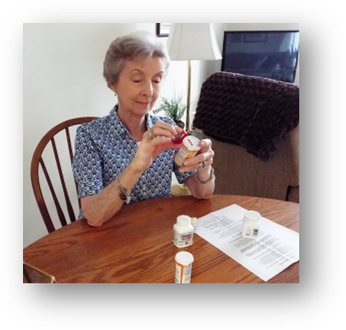 You will help reduce the number of medication errors resulting from hard to read medication labels that are happening at home, which in turn will decrease the number of patients being readmitted due to errors. You will continue to save lives and prevent harm, even for those you aren’t currently caring for (which is good for the community! ).